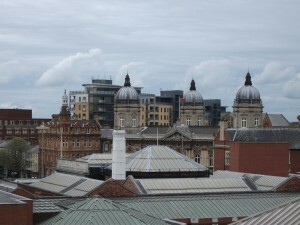 Hull skyline from Princes Quay car park. 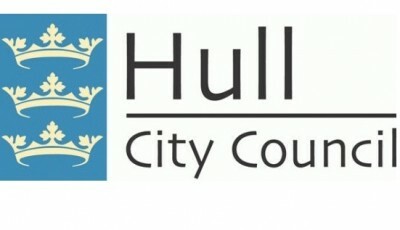 Plans are underway in Hull (officially “Kingston upon Hull”), England to develop that city’s first digital currency to tackle poverty, reported the Hull Daily Mail. According to the newspaper, HullCoin is a loyalty points system in which people can accumulate credits by making a positive contribution to society. The program would allow people to pay council bills or buy clothes, for example, as a reward for voluntary work. The initiative was first announced nearly a year ago but further details were revealed at a recent workshop, said the Hull Daily Mail. David Shepherdson, of the non-profit company Kaini Industries, which was founded to develop HullCoin, told the newspaper the project has strong potential. Although the project is still in its early stages, proponents hope to collaborate with council and business leaders in Hull with the goal of creating an alternative to paper currency that will help the most vulnerable. For example, rather than paying upfront for a parking permit, residents could make a contribution to the community by repainting a scout hut or leading dance instruction for children. Shepherdson told the Hull Daily Mail he believes HullCoin will be a big benefit to businesses, who could leverage the program to shift surplus stock or offer deals that would draw a wider range of customers. 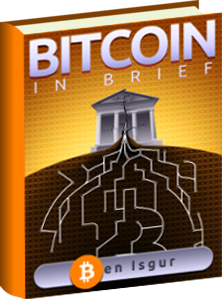 Shepherdson said all information would be stored digitally, and that every HullCoin issued would be traceable, with a story behind it. For instance, if someone purchased a pair of shoes from a store that accepted HullCoin, the merchant would know exactly what the customer had done to earn those credits. “We have to get creative about how we deal with austerity, because it is not going away,” said John Rogers, a Hull-born currency expert and HullCoin project leader, to the newspaper.